Welcome to the second edition of Rachael and Restoration (read more about this series here). Taxidermy is all the rage right now, so it’s no shocker that Restoration Hardware has their own line of cast resin and iron beauties. 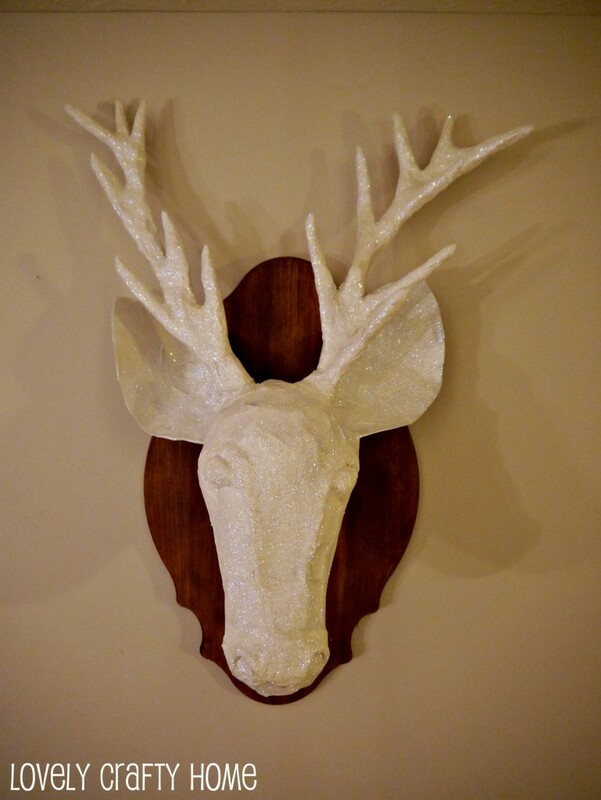 Once I was happy with my paper mache stag head, I spray painted him white then added fine white glitter with modge podge. 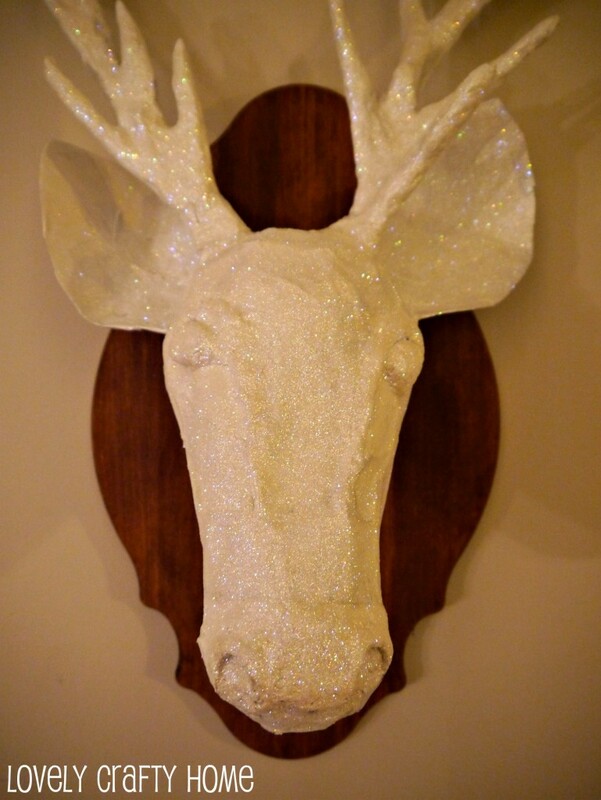 Everyone needs a glitter stag head, right? 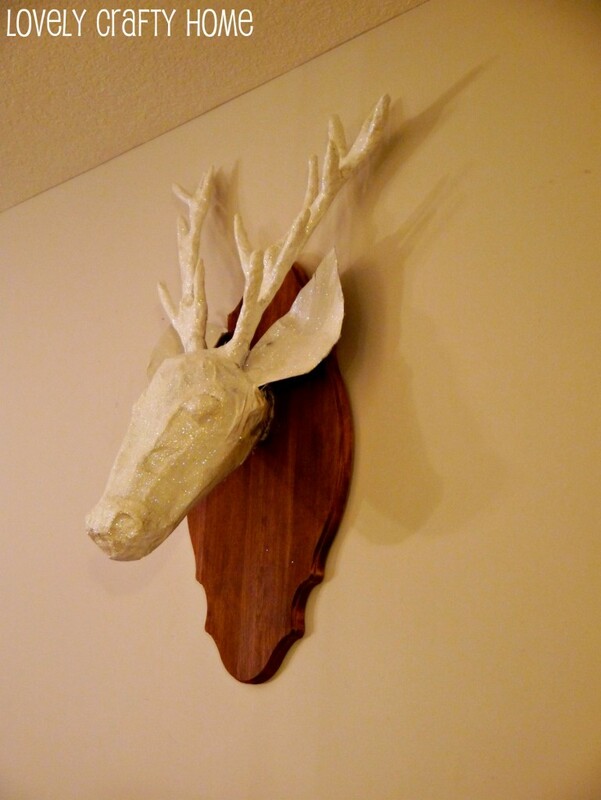 It took me a little while to figure out how I wanted to mount him on the wall; I considered pallet wood, windows frames, picture frames, and other materials. But ultimately I decided to scope out the plaque selection at A.C. Moore to see if anything jumped out at me. 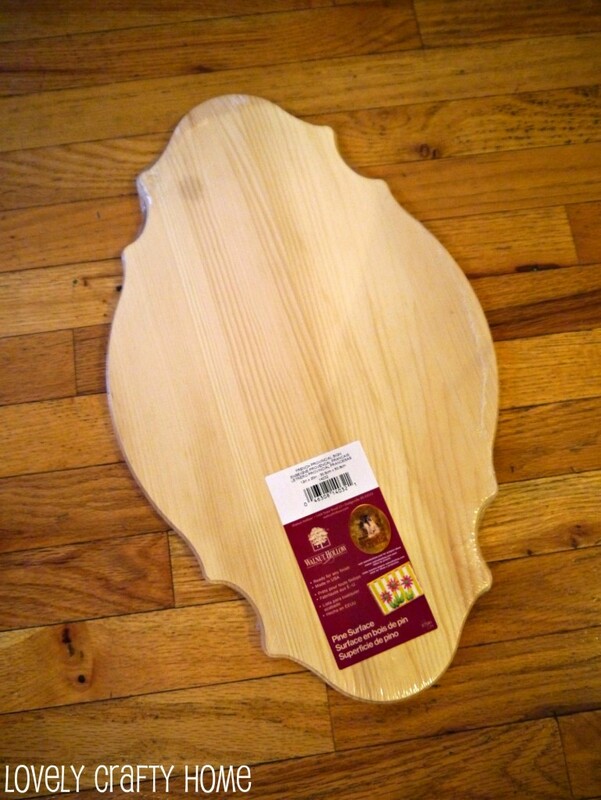 I found this awesome tall and shapely unfinished plaque that I thought would really compliment the shape of the stag head. Then all I had to do was figure out how to finish it. Do I go bold? I thought about busting out some crazy color spray paint. But, honestly the glitter really had to steal the show, and I wanted a nice rustic contrast to the bling as a background. Instead of getting out my Minwax Dark Walnut for such a small job (it’s oil and stinky), I used some glazing medium mixed with raw umber craft paint. Applied with a brush and wiped off with a rag, it does a great stain impersonation. 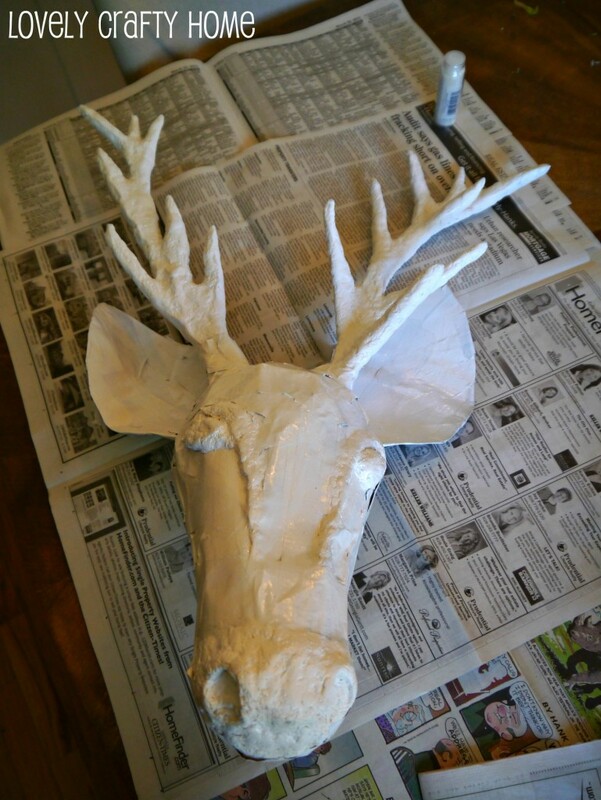 Before I attached the stag head, I hammered one of those teeth hangers on the back (critical that the timing of this step is right on). 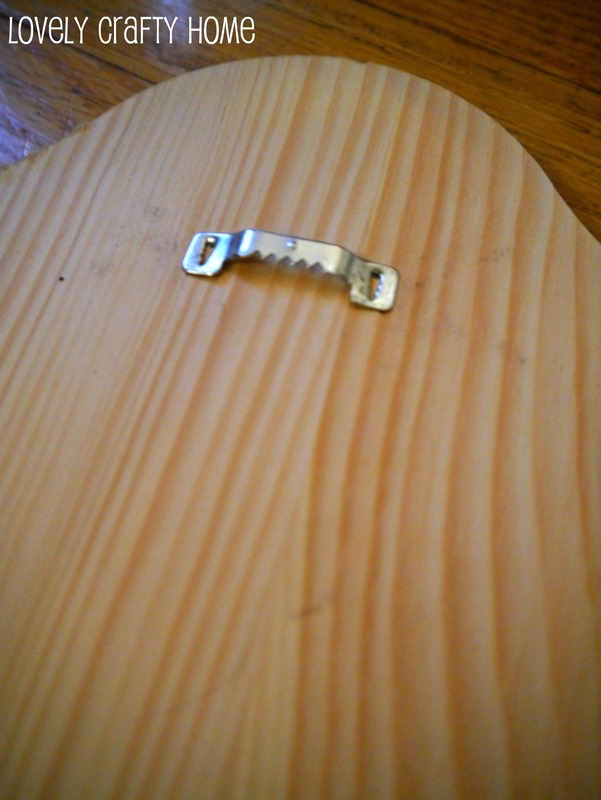 Then I got out the Gorilla Glue and hot glue for the good part- putting it all together. The head is pretty light, so I thought Gorilla Glue would be fine. I used hot glue to tack down the ears and help hold it in place while the Gorilla Glue dried. 24 hours later, the head is still attached, so I’m marking this as +1 in the victory category. What do you think? Here he is at the bottom of the stairwell (where the pallet memo frame used to be). My version is a little more glam than the RH version, but then again-so am I (bah ha ha). 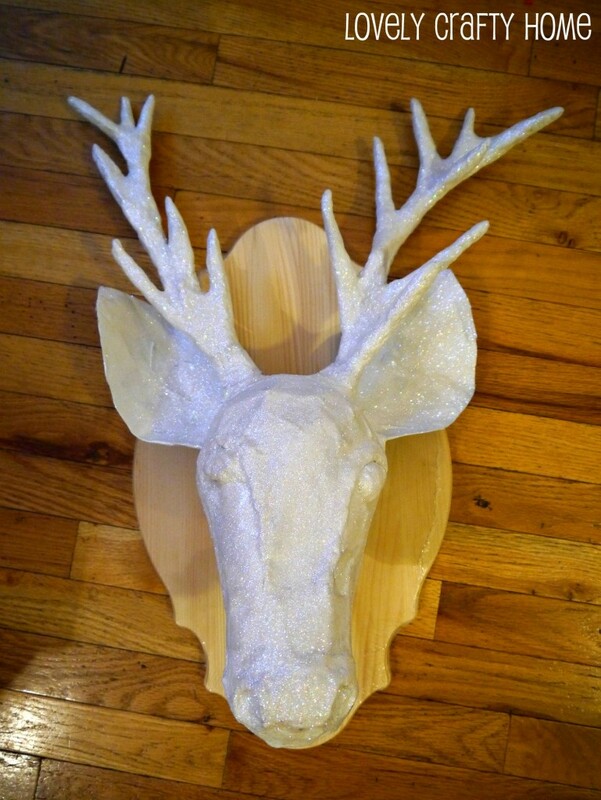 I’m calling Project Taxidermy DONE! This is a great project! I love the glitter! Would you consider linking it up to my Pinworthy Projects Linky Party over at Just Us Four? It looks awesome! 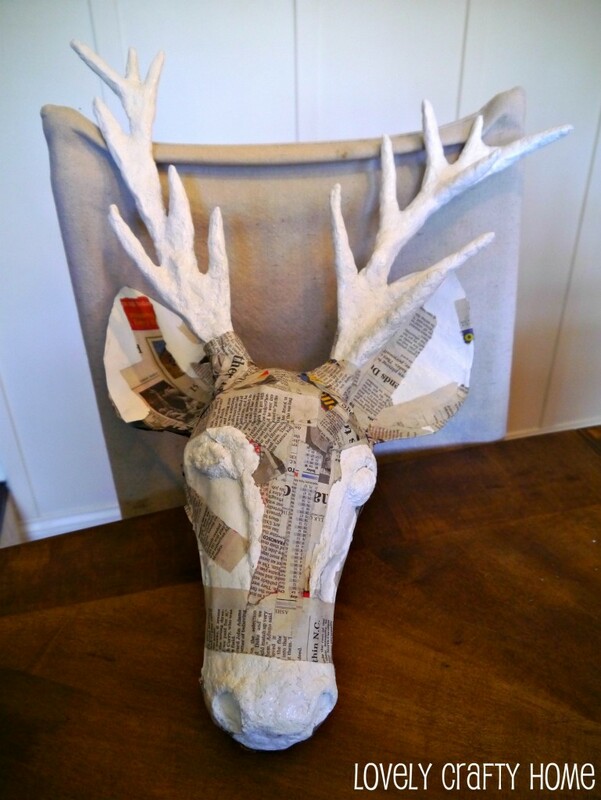 I’m trying to make a moose head currently from paper mache and i was wondering how you built the antlers up. Mine keep breaking or falling apart.